The oral hygiene products you use at home are your first line of defense against dental problems like tooth decay and gum disease. However, choosing the best ones can be a challenge. As you walk down the personal care isle in the store, you are surrounded by a variety of toothpastes, toothbrushes, and mouthwashes. While they may all seem the same, not all will meet your individual needs or provide you with effective results. As your dentist in Creve Coeur, Dr. James Feigenbaum and Dr. Jenna Feigenbaum want to ensure you make the right selections to promote the health of your teeth and gums. When choosing any oral care product, it is important to only use those that feature the American Dental Association’s (ADA) seal of acceptance. This means they have undergone rigorous testing to ensure they meet safety guidelines while being deemed effective. Their approval will be clearly displayed on the product’s packaging. To remove harmful plaque and tartar accumulations, it is best to brush your teeth after every meal or at least twice a day. As the most frequently used dental product, you need to choose the right toothbrush. The first thing you will need to decide is whether to use a manual or electric one. While both are equally as effective when used correctly, a traditional toothbrush is more affordable; however, an electric one is often more convenient. No matter the type you feel is right for you, choose one with soft bristles that accommodates the size of your mouth. While many tend to believe that hard bristles clean better, they can cause damage to your gums and enamel. In addition to your toothbrush, the right toothpaste is equally as important. Everyone wants to find the best toothpaste in Creve Coeur; however, the one that is right for your spouse may not be right for you. It is best to pick one that caters to your individual needs, such as tooth sensitivity, tartar control, or whitening. When making your selection, choose one that contains fluoride to help strengthen the enamel. Mouth rinses are a great addition to your oral hygiene routine. They do more than just freshen the breath. They can help treat certain dental issues as well, like helping to reduce or control plaque, gingivitis, bad breath, and tooth decay. When making your selection, consider your individual needs to find one that contains the ideal ingredients. For example, if you have bad breath or gum disease, choose an antibacterial rinse. If you suffer from dry mouth, look for one that helps to retain moisture. Although your dental products are vital to protecting the health of your teeth and gums, it is only half of the care you need. The American Dental Association recommends everyone visits their dentist twice a year for a cleaning and checkup. With the right hygiene habits and regular appointments with your dentist, you will have a healthy, beautiful smile that lasts a lifetime. 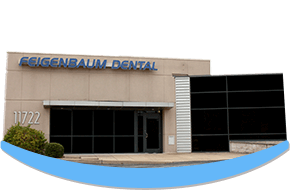 Contact Feigenbaum Dental today to schedule your appointment.